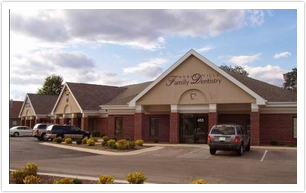 Here at Noblesville Family Dentistry, we believe every patient should receive quality dental treatment and comprehensive instruction to preserve optimal oral health for a lifetime. Our goal is to make every patient’s experience rewarding, positive, and stress-free. We commit to these beliefs by dedicating ourselves to the following pillars of excellence. Our cosmetic dentists serve Fishers and surrounding areas such as Westfield, Cicero, and Carmel. Like most businesses, we are results driven here too at Noblesville Family Dentistry. We pride ourselves on providing the highest quality of dental care in Noblesville, IN and differentiate ourselves by making it clear that our "quota" is not met until every patient leaves happy. Dr. Johnston and Dr. Boehm understand how important your smile is to you on so many levels, and works vigorously every day to ensure the best outcome for every patient. It is no secret that many patients do not visit the dentist as frequently as they should due to feeling uncomfortable concerning the very idea of it. Here at our Noblesville, IN office, we have created a warm and relaxing atmosphere with a family-friendly, respectful staff to ensure your visit is worry-free and unsurpassed in quality, every time. Dr. Johnston and Dr. Boehm believe one of the most important steps in patient comfort, as well as at-home prevention, is a proper education. By sharing knowledge with you, the patient, about procedures and services, we build a foundation of trust and create a precedent for maintaining a top-notch at-home oral health regimen. Just because we are out of school doesn't mean our learning ever stops here at Noblesville Family Dentistry. All of our staff stays current with new technology and procedures by attending conferences, lectures and reading industry literature constantly. We make sure that we pass our learnings on to you, the patient, so that you can be well informed on new options you may have available to you. To ensure the highest quality of treatments available, our Noblesville IN office is equipped with the newest and latest in dental technology as it becomes available. Call (317) 773-1302 to make an appointment in our Noblesville IN office, today!